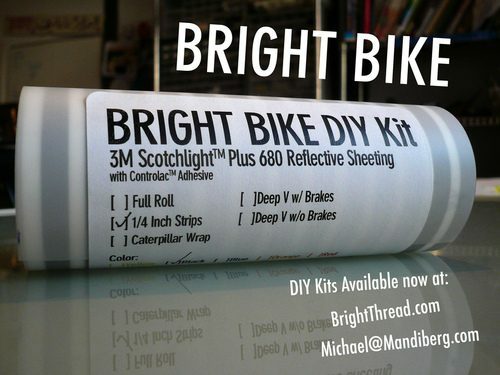 Michael has been working on the Bright Bike kit for about a year now and is finally offering a kit for $15. The Bright Bike V2.0 kit is offered in two applications, a 1/4″ Pinstripe Bright Bike and a 1″ Caterpillar Bright Bike. Check out more pictures at Michael’s Bright Bike Flickr set.